The company I use to work for had the Service and maintenance contract for TANA UK. TANA machines are Designed and manufactured in Finland. Powered by Cummins. G450 use there latest QSX15 512 Bhp powerplant. Hydrostatic Drive. Bosch Rexroth pumps. Me and a welder use to look after all TANA units here in the North East. TANA G450 machine. 46 metric ton. BranSands Lanfill. Tee Side. Another G450. Cowpen Land fill Tee Side. TANA G360. 36 metric ton. Seaton Medows landfill Tee Side. Same G360. This is the oldest machine on the contract and looks beat up. I have more photos of these machines i will post in due time. My opinion. The best Landfill compactor on the market. Not something many of us get to see those things. Bit of a specialised piece of kit!! Looks like an old F27 machine? Twin drives on the rear and one on the front. There was a F27 on the contract. This machine was replaced with a Brand new G260 that we built and comisioned. 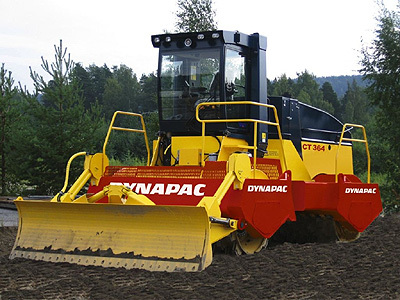 Tana machines are also sold for soil compaction purposes by Atlas Copco owned compaction equipment manufacturer Dynapac. What model R these 2? n what do they weigh?